Got $4,210 to your name? Congratulations, you’re wealthier than half of the world. If you’ve got a net worth of $93,170 USD, you’re wealthier than 90% of the world. Wealth inequality – the unequal distribution of assets – also known as “income inequality” or the “wealth gap”, is a huge issue globally. “Wealth” can include the values of homes, automobiles, personal valuables, businesses, savings, and investments. Globally, the richest 1% owns half the world’s wealth, and it is predicted this portion will increase to two-thirds by 2030. There are many causes of wealth inequality. The most obvious being that people who already hold wealth have access to resources to invest or otherwise leverage their assets to accumulate more wealth, creating a vicious cycle. There are many other causes of wealth inequality, including debt, interest rates, income tax and the decreasing purchasing power of money. Invest in human capital, infrastructure, and economic growth: inadequate resourcing for health, education, sanitation and investment in the poorest citizens is a key driver of wealth inequality, especially in developing countries. Here are some economic justice groups marking progress on closing the wealth gap in the US, specifically. Implement a global wealth tax: French economist Thomas Piketty recommends establishing an internationally agreed upon global wealth tax, where countries – by way of global organizations such as the UN, World Bank, WTO, etc. – agree to tax personal assets of all kinds at graduated rates. Enforce a living wage: while businesses are starting to make progress in prioritizing a living wage for their workers and with the suppliers with whom they do business (hello, B Corps! ), there is much more work to do here. Bernie Sanders has made headlines of late, first with his ‘Stop BEZOS Act,’ which resulted in Amazon raising its minimum wage to $15/hour. 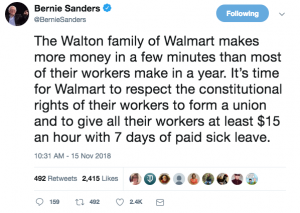 Last week he introduced his ‘Stop Walmart Act,’ which would prevent large companies from buying back stock unless they pay their employees at least $15/hour. 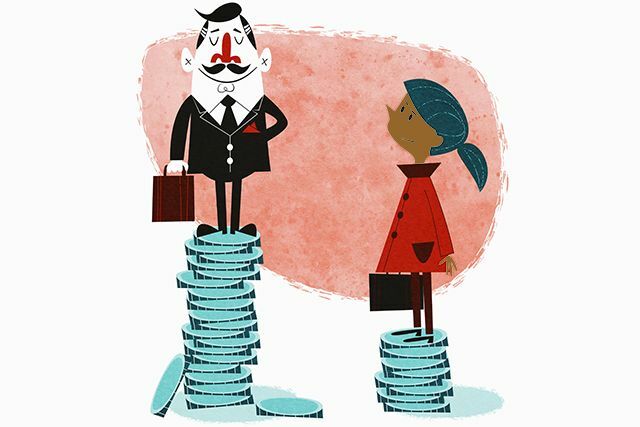 It’s worth noting, this post considers wealth inequality on a global level primarily, however there are many levels of the wealth gap to consider. For example, in the United States, there is a major racial wealth gap. Homeownership trends, education and the labor market are huge contributors to this inequality, as blacks and Hispanics face significant barriers to access in these areas. Have you seen other examples of countries or businesses making inspiring progress in their attempts to reduce income inequality? We’d love to learn about them and share them with our community. Get in touch.